We have to ask this question. 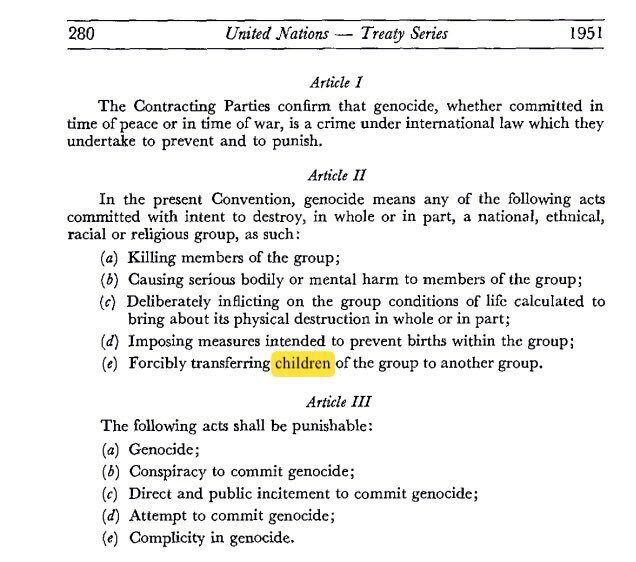 The United States government lead by donald j trump, lost 1500 children. It is your responsibility as a human being to demand answers! "PBS has confirmed that some of these children have been released to HUMAN TRAFFICKERS by the US government." When my kids were fifteen and twelve, we lived through a period during which the Russian government was threatening to take children away from queer parents, and, specifically, threatening to go after my kids. I sent my son, who is adopted, to boarding school in the United States while the rest of us got ready to emigrate. My biological daughter was less at risk, perhaps even at no risk, and yet the question of whether social services would come knocking sent me into a panic. One day, about a month and a half before we left Moscow, as I was about to go on a short book trip, my daughter asked what would happen if social services came while I was away. “Will you go crazy?” she asked. I reassured her that a small army of lawyers, activists, and embassy officials stood at the ready and would protect her. A twelve-year-old was asking me if I had the mental capacity to survive having my child taken hostage. It was the right question. Hostage-taking is an instrument of terror. Capturing family members, especially children, is a tried-and-true instrument of totalitarian terror. Memoirs of Stalinist terror are full of stories of strong men and women disintegrating when their loved ones are threatened: this is the moment when a person will confess to anything. The single most searing literary document of Stalinist terror is “Requiem,” a cycle of poems written by Anna Akhmatova while her son, Lev Gumilev, was in prison. But, in the official Soviet imagination, it was the Nazis who tortured adults by torturing children. In “Seventeen Moments of Spring,” a fantastically popular miniseries about a Soviet spy in Nazi Germany, a German officer carries a newborn out into the cold of winter in an effort to compel a confession out of his mother, who is forced to listen to her baby cry. Last weekend, independent Russian-language media published hundreds of photographs from protests that preceded Monday’s inauguration of Vladimir Putin, who has claimed the office of President for the fourth time. In many of the pictures, Russian police were detaining children: primarily, preteen boys were having their arms twisted behind their backs by police, being dragged and shoved into paddy wagons. According to OVDInfo, a Web site that has been tracking arrests since anti-Putin protests began, six and a half years ago, a hundred and fifty-eight minors were detained by police during the protests, accounting for just less than ten per cent of the day’s arrests. Ella Paneyakh, a Russian sociologist who studies law-enforcement practices, observed in a Facebook post that the police had clearly been directed to target children. A possible explanation, she suggested, is that social services, which will process the minors, is even less accountable than the regular courts are. While Russian activists have learned to make the work of the courts difficult, filing appeals and regularly going all the way to the European Court of Human Rights, there is no role for defense attorneys and no apparent appeals process in the social-services system. The threat is clear: children who have been detained at protests may be removed from their families. At least one parent has already been charged with negligence as a result of his son’s detention at one of the demonstrations last weekend. Another possible explanation is that Putin and the system he has created have consistently, if not necessarily with conscious intent, restored key mechanisms of Soviet control. The spectacle of children being arrested sends a stronger message than any amount of police violence against adults could do. The threat that children might be removed from their families is likely to compel parents to keep their kids at home next time—and to stay home themselves. A few hours after Putin took his fourth oath of office, in Moscow, Attorney General Jeff Sessions addressed a law-enforcement conference in Scottsdale, Arizona. He pledged to separate families that are detained crossing the Mexico-U.S. border. “If you are smuggling a child, then we will prosecute you and that child will be separated from you,” Sessions said. The Attorney General did not appear to be unveiling a new policy so much as amplifying a practice that has been adopted by the Trump Administration, which has been separating parents who are in immigration detention from their children. The Times reported in December that the federal government was considering a policy of separating families in order to discourage asylum seekers from entering. By that time, nonprofit groups were already raising the alarm about the practice, which they said had affected a number of families. In March, the American Civil Liberties Union filed a class-action lawsuit on behalf of the hundreds of families that had been separated when they entered the country with the intention of seeking asylum. The practice, and Sessions’s speech, are explicitly intended as messages to parents who may consider seeking asylum in the United States. The American government has unleashed terror on immigrants, and in doing so has naturally reached for the most effective tools. I was reading about ICE’s largest family detention facility—Karnes, which is run by a private contractor—and I happened upon this photo on the contractor’s blog. 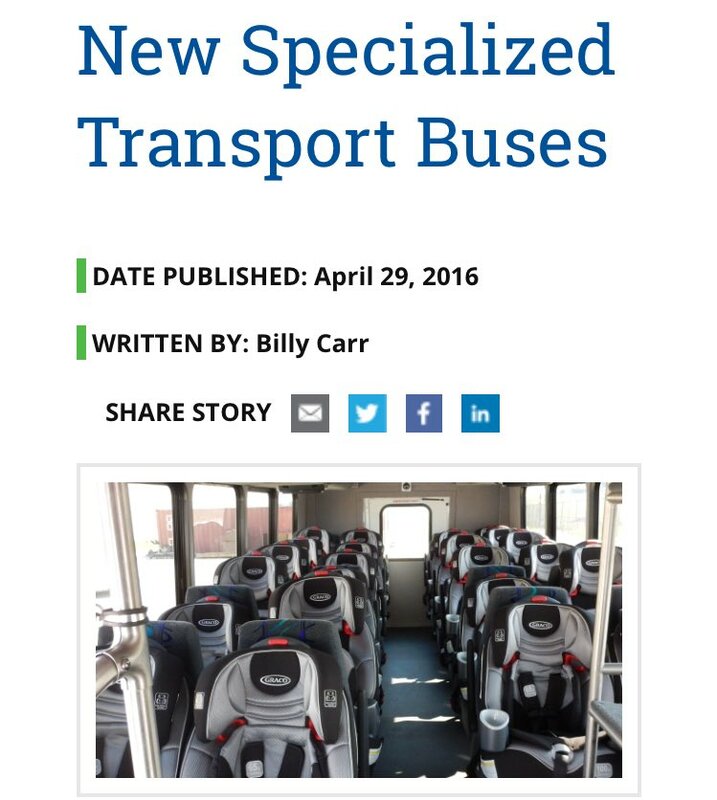 As my friend put it, they’ve got a prison bus for babies down there. Esteban Pastor, 29, hoped Border Patrol agents would free him and his 18-month-old son while they fought their deportation case. Instead the father was imprisoned for crossing the border illegally and his toddler was placed in federal foster care. For months, Pastor said he didnt know what had happened to his son and he was deported to Guatemala without him last October. As President Donald Trump’s administration ramps up the prosecutions of parents crossing the border illegally and separates their children, Pastor’s case offers a glimpse into how challenging it is to reunite them. Homeland Security Secretary Kirstjen Nielsen has defended the practice, saying children are taken from any criminals imprisoned for breaking the law. But once immigrant families, many asylum seekers from Central America, are separated at the border, they struggle to find each other among the three behemoth federal agencies in charge of their care. Advocates say few procedures are in place to ensure they reunify. 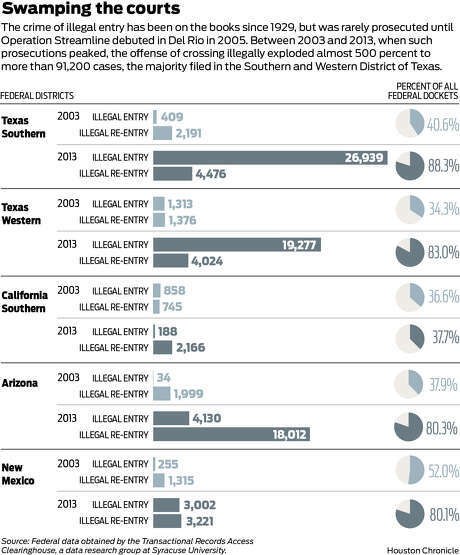 Previously most parents with children weren’t prosecuted for crossing the border illegally, a misdemeanor for first offenders, but deported or freed together to pursue their civil immigration cases under a practice called “catch and release.” The crime of illegal entry swamps federal dockets at the border and prosecutors typically prioritized serious offenders. 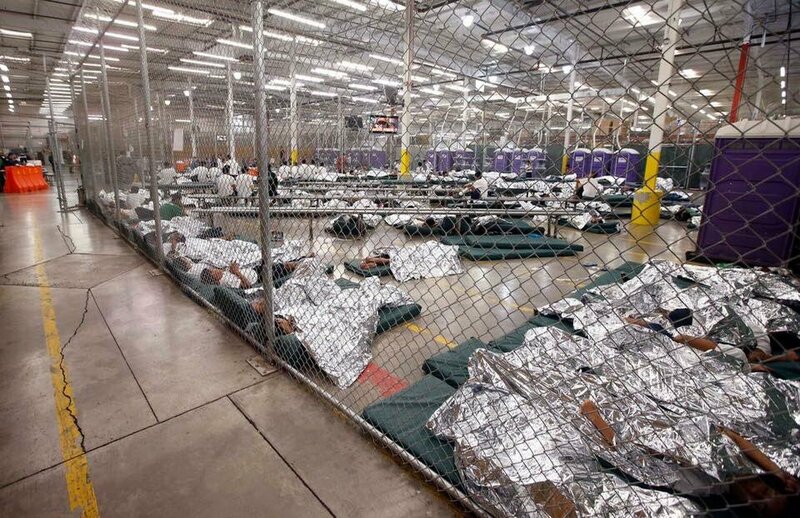 Trump and his supporters say a federal settlement prevents the prolonged detention of children and that families often don’t show up for hearings if they are freed. They point to rising arrivals at the border, saying families take advantage of “loopholes” protecting children to stay here. Prosecuting parents sends a “powerful message of deterrence,” U.S. Rep. Michael McCaul, a Texas Republican, told a Homeland Security committee this week. Advocates say no systematic policies exist to ensure families don’t lose each other after the separation. U.S. Rep. Filemón Vela, a Texas Democrat, echoed those concerns at the congressional hearing. “I worry that there are no reliable mechanisms in place,” he said. After they are removed from their parents, children are deemed "unaccompanied" and placed in the custody of Health and Human Services, which houses minors in federal shelters until it can release them to relatives or provide long-term foster care. Patrick Fisher, a spokesman for that agency’s Office of Refugee Resettlement in charge of migrant children, said in a statement that the agency works with Homeland Security and other authorities to find parents. He said it has done so in about 700 cases between October and April where parents were in DHS custody. The agency couldn’t say how many were reunified, saying that data is not “in a reportable format.” It didn’t track separations before that period. In some cases, he said, children report that information. In others, parents, attorneys and relatives contact the agency. Sometimes, advocates say, families fall through the cracks. Pastor first entered the U.S. illegally in 2009 to work at a Mexican restaurant in Tennessee and save money for a house back home. His village, Lancetillo la Parroquia, is in a remote mountainous areas of Guatemala, where 80 percent of the mostly indigenous Mayan residents are poor, according to the World Bank. There’s no electricity or paved roads, and residents make $3 a day farming the spice cardamom. In 2014, police stopped Pastor as he left work, and asked for his license. He didn’t have one, so officers booked him into jail and deported him. In Guatemala, he married and bought a 100-square-foot slip of land, growing corn. He and his wife had a baby, Edwards Yunior. But he said the child began suffering excruciating bouts of fever and stomach pain. Blood came out of his nose and buttocks. He had seizures. They made the 12-hour journey to the capital, Guatemala City, where the baby was hospitalized. Pastor, whose native language is Quiche, said he doesn’t understand what ailed his baby, who later recovered. But to pay for the treatment, Pastor signed over his land to a neighbor. The practice is common among indigenous communities where few qualify for formal loans. Such money-lenders charge exceptional interest and Pastor worried he would lose his home. He couldn’t find enough work to make bigger payments. 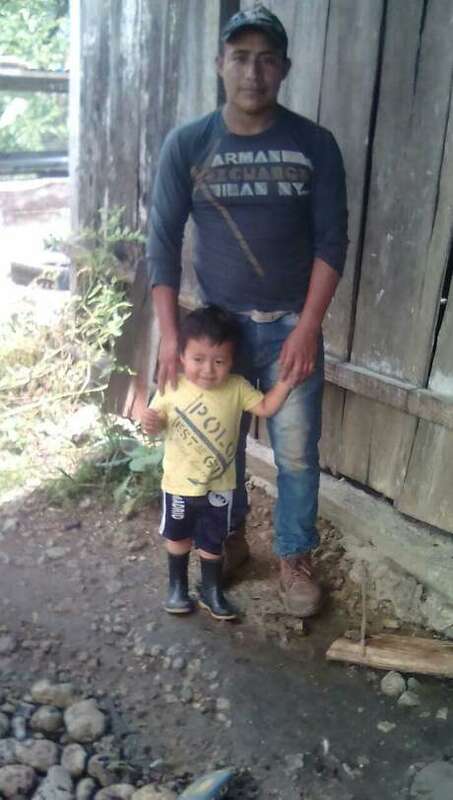 He knew it would be difficult to return to the United States, but heard that if he brought along his child he might be released. Pastor thought he would stay only a few months to repay his debt. He had another baby on the way. The Trump administration began prosecuting parents and separating their children in the El Paso Border Patrol sector last summer. Last July, Border Patrol agents found the father holding his baby in the New Mexican desert north of El Paso, and discovered his old deportation. He had no other criminal history beyond two tickets for driving without a license, according to their records. By the time Meghan McLoughlin, a New Mexico federal public defender, met with Pastor to represent him on the re-entry charge, he was frantic. Listening to his account, she became concerned. Border Patrol agents said in their report that they removed the toddler because Pastor couldn’t prove he was the father. The agency has said such separations are often necessary to determine adults are not trafficking the children and lying about their relationship. Pastor insists he gave them a birth certificate. McLoughlin said she called the Guatemalan consulate and obtained verification of Pastor’s paternity, providing it to immigration officials herself. No one could tell her what had happened to the toddler. In August, Pastor pleaded guilty to re-entering the country illegally and a federal judge sentenced him to time-served for the 22 days he had spent in prison. He was transferred to a civil immigrant detention facility in El Paso, where McLoughlin, as his criminal attorney, lost oversight. But she worried how such a young child could ever find his father. Knowing federal prisoners have their phones confiscated and don’t always have them returned before deportation, she scribbled down a number for Pastor’s wife in Guatemala before he was transferred. She shared it with the consulate. Across the country federal defenders say they are increasingly on the front lines of helping parents find their children. Often they are the only counsel migrants ever see as they move rapidly from Justice Department to Homeland Security detention and then speedily deported. Miguel "Andy" Nogueras, a federal public defender in McAllen, said he recently represented a woman who was prosecuted for illegal entry last fall and had her child removed. She was coming back to find her this month when she was imprisoned for returning. Blanca Vasquez told Border Patrol agents in El Paso that she sought asylum after her husband, a military sergeant, was gunned down in El Paso. 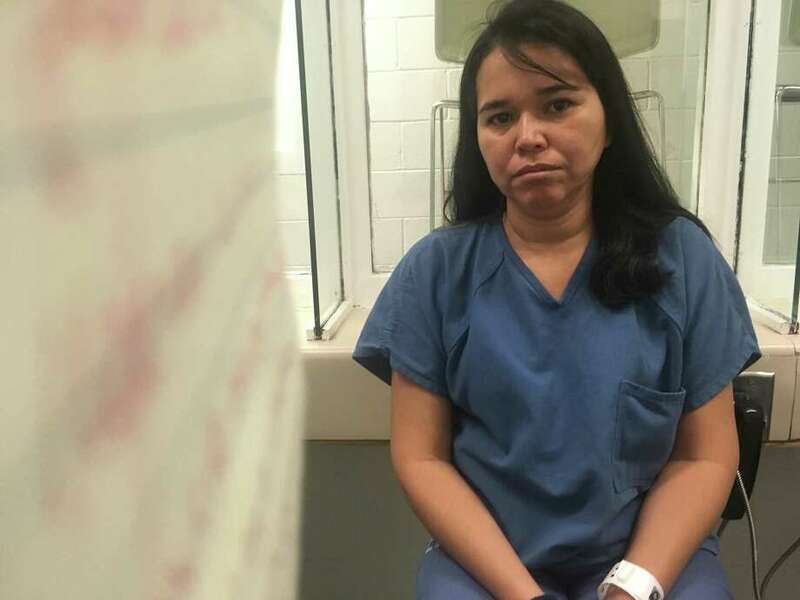 She was prosecuted for entering the country illegally and her son taken away. She had no idea where he was for weeks. Detained in El Paso, Pastor said he tried to obtain information about his son’s whereabouts, but was unable. Pastor said that never happened. He said the facility was overwhelmed with the transfer of immigrants from detention centers impacted by Hurricanes Harvey and Irma and the official said she was too busy. He later again told immigration agents and consular staff that he wanted to return to Guatemala with his toddler. 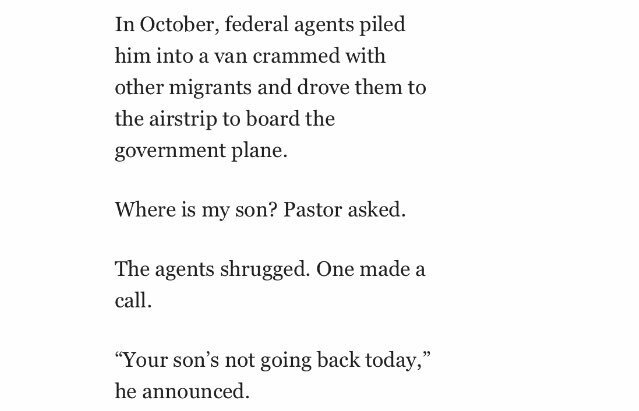 In October, federal agents piled him into a van crammed with other migrants and drove them to the airstrip to board the government plane. Where is my son? Pastor asked. The agents shrugged. One made a call. “Your son’s not going back today,” he announced. No one could tell him more. Zamarripa, the spokeswoman, said Pastor’s son was in federal foster care at the time and represented by a pro bono attorney. According to ICE policy, officials should “to the extent practicable” allow detained parents to make arrangements for their children before they are deported, including guardianship in the U.S. or travel documents to go home together. But advocates say that once minors are deemed “unaccompanied,” they require certain legal and privacy protections and have their own potential asylum cases. They land in federal shelters across the country often with little information on their parents. By the time advocates find parents, who are not told where their children are until their relationship is established, they have already sometimes been deported. 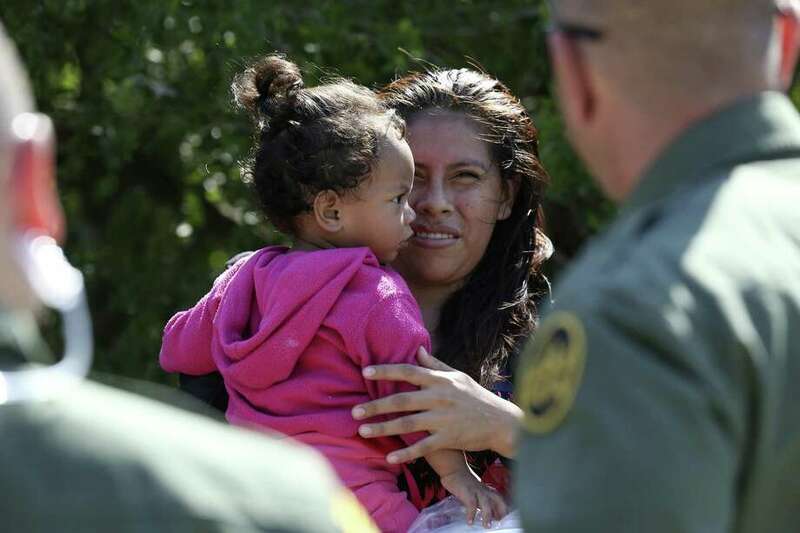 Honduran Patricia Rodriguez Hernandez, 22, holds her daughter, Denia Abigail, 1, after surrendering to U.S. Border Patrol agents near the Anzalduas International Bridge in Mission, Texas, Thursday, May 10, 2018. Even supporters of the hard-line policy say parents and children should be kept geographically close after they have been separated and allowed contact, said Jessica Vaughan, director of policy studies at the Center for Immigration Studies, a think tank supporting reduced immigration. The government must ensure they are deported together if the parent wants that. Once Pastor landed in Guatemala, he begged the consulate for help. He made dozens of calls to the U.S. Two months after returning home and four months after the last time he saw his toddler, a social worker reached him at the end of November. A Harlingen immigration judge ordered the child returned to Guatemala on or before Jan. 2, the day before his second birthday. The father was elated to pick him up at the airport. “I didn’t know if I would see him again,” Pastor said. 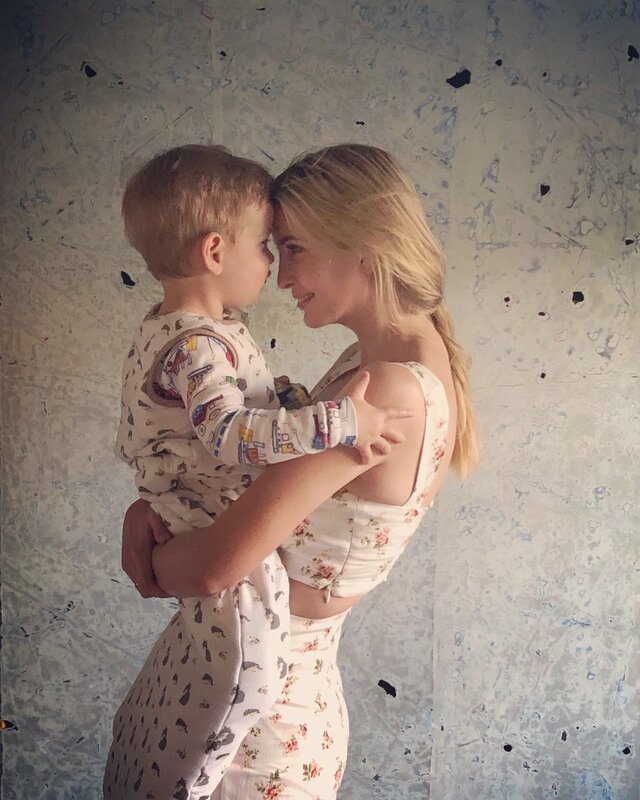 WHERE ARE THE PIZZAGATE FUCKERS NOW GODDAMNIT?! They should be storming southwestern detainment facilities in armed vigilante bands right about now, no? Those photos and that facility were in 2014 under POTUS Obama. I'm just trying to get this thread up to 48 pages...I know people here care about kids..right? The action is horrid regardless of POTUS and ever more horrid because they are children separated indefinitely from parents. Anger is mounting in the United States at the government's policy of separating children from migrant and refugee parents who are caught crossing the US-Mexico border. 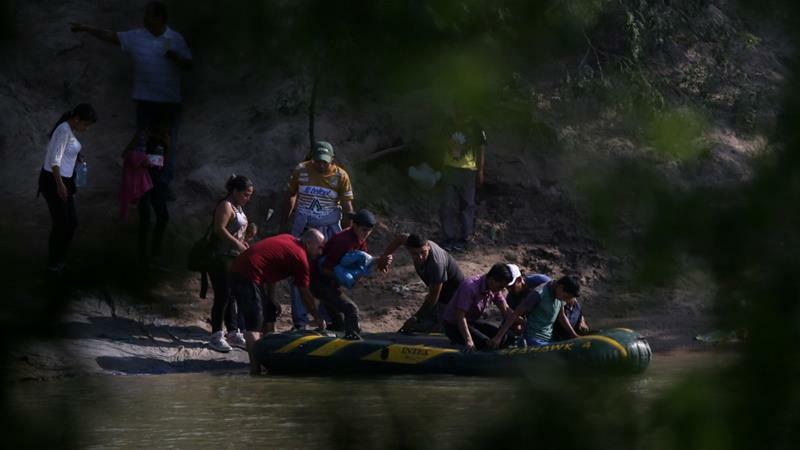 The administration of US President Donald Trump has taken a tough stance on what it deems to be unlawful crossings of the US-Mexico border and has vowed to prosecute the refugees and migrants who do so. "If you cross the border unlawfully .. then we will prosecute you," Attorney General Jeff Sessions said earlier this month. "If you're smuggling a child, then we're going to prosecute you, and that child will be separated from you, probably, as required by law," he added. "If you don't want your child separated, then don't bring them across the border illegally. It's not our fault that somebody does that." This "zero-tolerance" policy is a departure from the previous precedent that placed those detained in immigration proceedings while their asylum claims were examined or deportation proceedings finalised. Families were often kept together in shelters, or released to await their hearings. As a result of the recent arrests, thousands of children have been separated from parents who have been detained and placed in the care of sponsors, but officials say some 1,500 are unaccounted for, according to figures first reported by The New York Times and Associated Press last month. The scale of that number has sparked outrage on social media, especially amid reports that some of the children had fallen into the hands of human traffickers. "This [policy] is without a doubt one of the cruellest, most inhumane decisions President Trump has proposed so far," said Democrat legislator Joe Crowley, earlier in May, adding: "Shame on him and shame on any Republican who doesn’t immediately speak out against it." 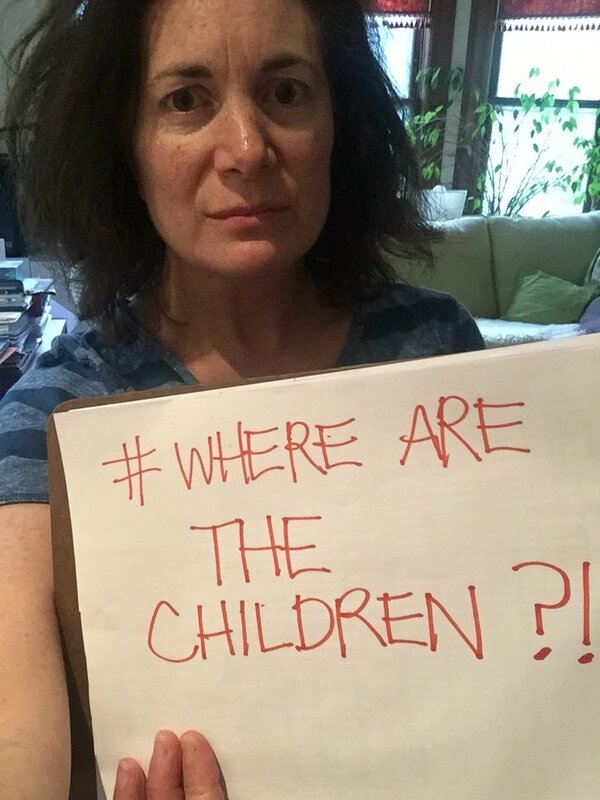 The Twitter hashtag #WhereAreTheChildren trended in the US overnight on Saturday and drew thousands of tweets. "Ripping young children away from their mothers is already beyond horrifying. But having some of the children sold into human trafficking is the greatest injustice this administration has ever done. It is a crime against humanity," wrote Dr Eugene Gu, a frequent Trump critic. Author Maggie Smith said: "My kids are asleep upstairs in their beds. It makes me physically ill to imagine having them pulled from me, going months without seeing them, not knowing if they are safe or even alive. This is, simply, evil." Trump has responded by blaming his Democrat rivals for the "law" that he and his officials have themselves introduced and enforced. "Put pressure on the Democrats to end the horrible law that separates children from there parents once they cross the Border into the U.S. Catch and Release, Lottery and Chain must also go with it and we MUST continue building the WALL! DEMOCRATS ARE PROTECTING MS-13 THUGS," the US leader wrote, referring to the predominantly Hispanic street gang. There is no evidence to suggest undocumented migrants are more likely to be involved in criminal activity. To the contrary, studies show that they are less likely to the break the law. Trump has a long track record of fiery rhetoric against immigrants, and his election campaign included a pledge to build a wall across the US-Mexico border and to ban Muslims from entering the US. He is still looking at ways to finance the former, and a modified version of the latter is being debated at the Supreme Court. The point is you made a post bashing Trump using shocking pictures that occurred under POTUS Obama without making their time clear. I have zero argument as to Trump being bad for the immigration issue; inhumane and willfully cruel is a better descriptor than bad. There is a sickness in the USA that such actions and facility exists. we have 48 pages of the pizzagate crap......48 pages and of course that was just fine ...not much of a problem there right? did you go over all of my other posts in this thread? did all the other photos meet your approval? did you see this one ...it had the date on it? Last edited by seemslikeadream on Sun May 27, 2018 11:05 pm, edited 1 time in total. 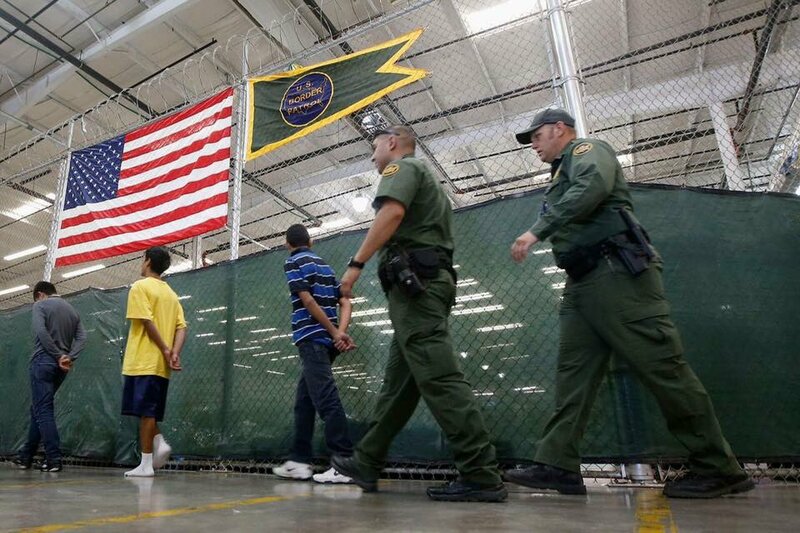 The Trump administration called immigrant children future criminals on the same day Border Patrol was accused of sexually and physically abusing child detainees. In April of 2017, when Donald Trump ordered his first missile strike in Syria, the president said that he was moved by the images of children killed in suspected chemical attacks. It was a rare moment of Trump being moved by compassion, and it hasn't been replicated. Immigrant advocates have long said that the children, primarily from Central America, are fleeing violence in their home countries and seeking safe harbor in the United States. But the Trump administration has used their plight to justify cracking down on policies that allow these migrants to be released and obtain hearings before immigration judges, rather than being deported immediately. Trump's not alone in thinking that. Deputy Attorney General Rod Rosenstein claimed that the gang activity that happened during his tenure U.S. attorney for Maryland was fueled by undocumented children. According to Rosenstein, those children roam the streets like Oliver Twist until they're absorbed into criminal organizations. "We’re letting people in who are creating problems. We’re letting people in who are gang members. We’re also letting people in who are vulnerable." First and foremost, this is Minority Report nonsense. The argument that we have to treat as criminals anyone who might be a criminal is the logic of a full-on police state. It's also maddening that Rosenstein would claim that it's immigrants who are creating problems when, broadly speaking, they're fleeing violence, economic instability, and political corruption that the U.S. exported in the first place. But what's most infuriating is that he would use the vulnerability of children and families as a cudgel against them, essentially arguing that they need help too badly to be allowed in the country. Officials have denied the allegations, calling them "unfounded and baseless." All of these reports pre-dated the Trump administration, and there's no reason to assume that CBP has become more transparent or accountable since then. Besides, this fits nicely into Trump and Kelly's entire reasoning for the need to imprison children in the first place: subject them to so much cruelty that others won't try to come to the US at all. Did the U.S. Government Lose Track of 1,475 Migrant Children? An official from Health and Human Services reported to a Senate subcommittee that 1,475 unaccompanied migrant children are unaccounted for. The U.S. government lost track of some 1,475 immigrant children who were placed in sponsor homes. On 26 April 2018, the New York Times and the Associated Press both reported that the U.S. government had lost track of nearly 1,500 migrant children it had placed into the homes of caregivers. The alarming nature of the headlines prompted many readers to question the veracity of the reports, but they are apparently true. From October to December 2017, ORR [Office of Refugee Resettlement] attempted to reach 7,635 UAC [unaccompanied alien children] and their sponsors. Of this number, ORR reached and received agreement to participate in the safety and well-being call from approximately 86 percent of sponsors. From these calls, ORR learned that 6,075 UAC remained with their sponsors. Twenty-eight UAC had run away, five had been removed from the United States, and 52 had relocated to live with a non-sponsor. ORR was unable to determine with certainty the whereabouts of 1,475 UAC. 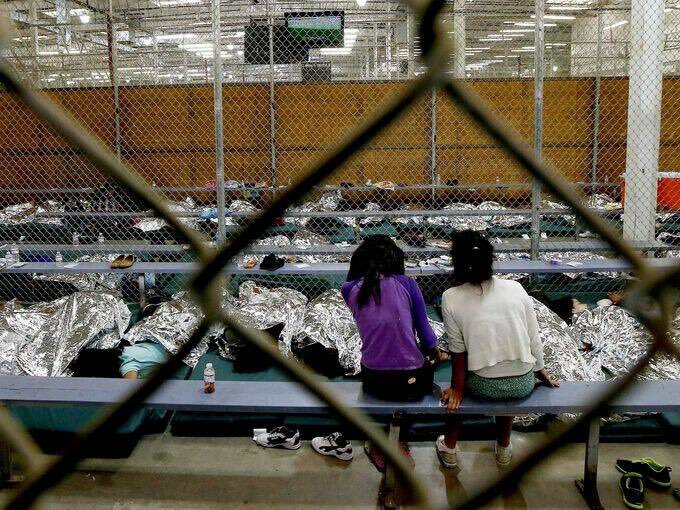 When a UAC is placed with a sponsor, he or she ceases to be in the custody of the U.S. government and all HHS-provided subsistence — food, shelter, clothing, healthcare and education — ends at that point and the child becomes the responsibility of his or her parent, guardian or sponsor. 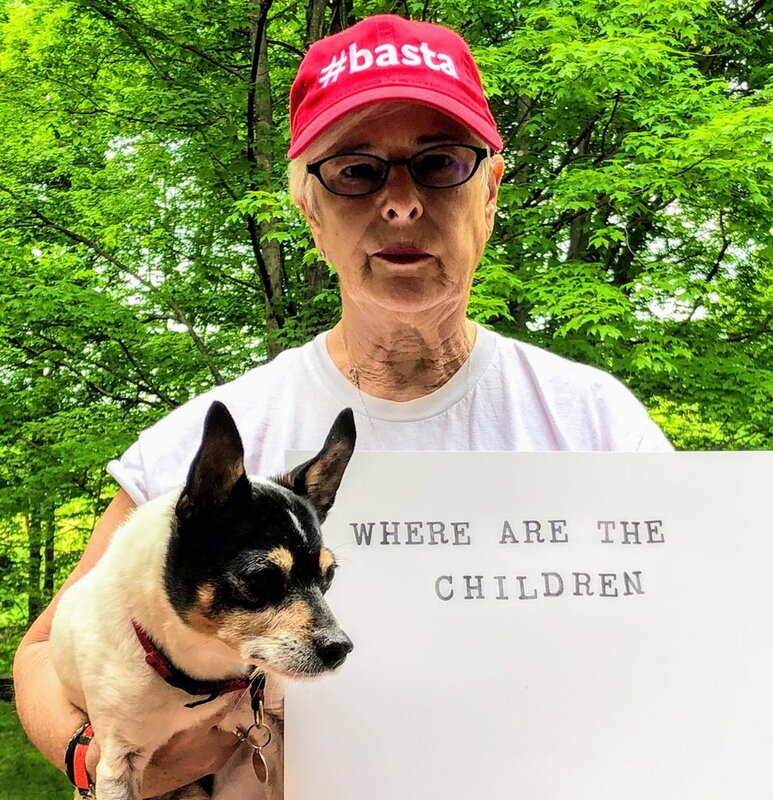 Responses to questions about the whereabouts of children from whom the HHS had distanced themselves once those children were placed with sponsors drew backlash from lawmakers at the 26 April oversight hearing. You are the worst foster parents in the world. You don’t even know where they are. And we’re failing. I don’t think there’s any doubt about it. And when we fail for kids, it makes me angry. Where are these kids? Why don’t we know where they are, and how come after months of investigation by this committee, we don’t seem to be getting any better answers, Mr. Wagner? The outcry over the fact that the federal government had lost track of hundreds of vulnerable children was compounded by outrage over news that immigration authorities were making good on new Trump administration directives to prosecute parents caught making unauthorized border crossings with their children, and in so doing separate the kids from their parents. The New York Times noted in April 2018 that 700 children, over 100 of them younger than four years old, had been taken from their parents at the border since October 2017. The more we learn about childhood trauma, the clearer it becomes that the negative consequences of trauma can reverberate for a lifetime. There’s nothing more traumatic for a child than being separated from their parents, so we have to approach this challenge in a compassionate and humanitarian way. There’s nothing compassionate about losing track of over 1,500 children – that’s negligence, and it’s an outrage. I will continue to push to hold HHS accountable for its failure to keep track of the children in its care, and ensure that proper procedures are in place to compassionately care for kids who are facing unimaginable stress and trauma. HHS has failed to prove that they have the resources, processes, or frankly the desire to truly handle this situation. As I have said, they have proven to be the worst foster care system I’ve seen – and yet even more children are expected be forced into a clearly broken system. 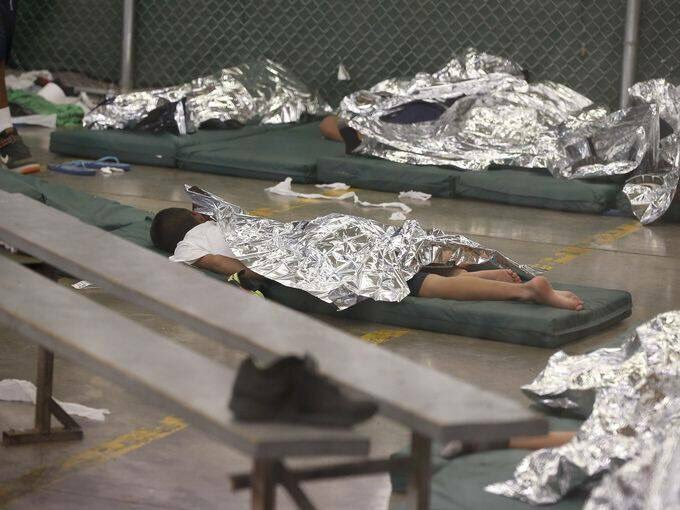 This is not how we should treat children, regardless of what country they come from. 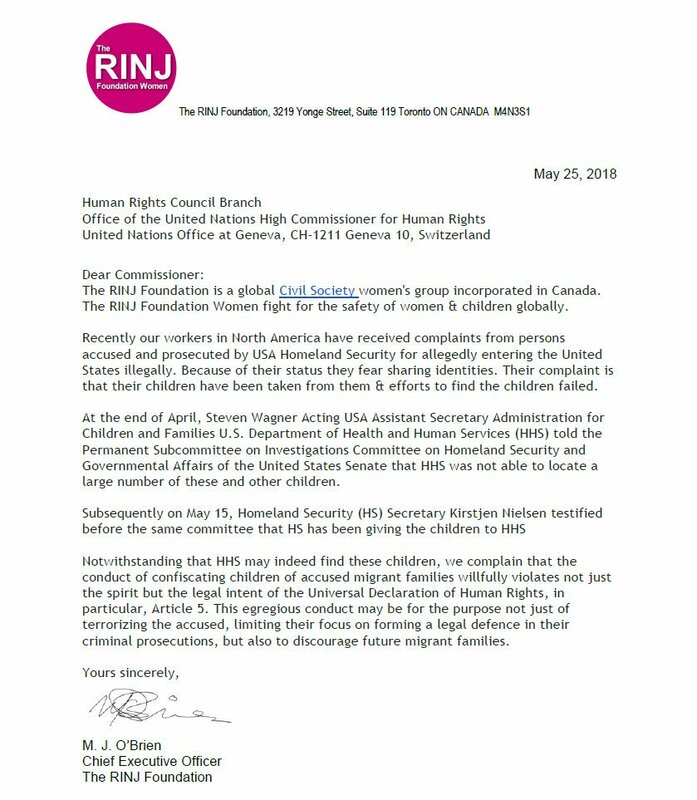 We have a moral and humanitarian duty to protect and care for these children properly while they are under federal supervision and in this country – regardless of circumstances. (CNN)The federal government has placed thousands of unaccompanied immigrant children in the homes of sponsors, but last year it couldn't account for nearly 1,500 of them. In a statement, a spokesman for the Administration for Children and Families said it was reviewing the statements and recommendations made at last month's hearing, but it would not comment on them prior to making an official response to Congress. 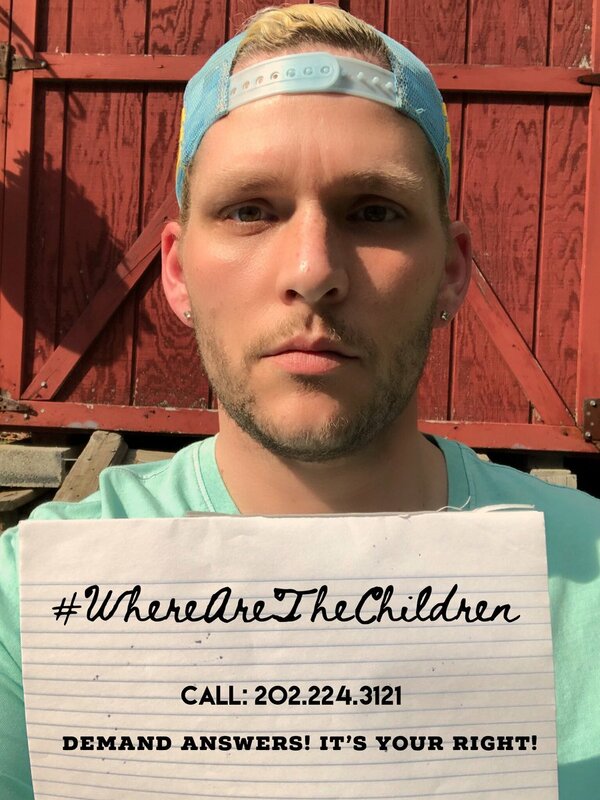 "When an unaccompanied alien child is placed with a sponsor, he or she ceases to be in the custody of the US government and all HHS-provided subsistence -- food, shelter, clothing, healthcare and education -- ends at that point and the child becomes the responsibility of his or her parent, guardian or sponsor," the statement added. The Trump administration is forcibly taking migrant children from their parents and placing them in separate detention centers, to “deter” illegal immigration. On Saturday morning, Trump claimed it is all Democrats fault. Like many things Trump tweets, however, the idea that Democrats are responsible for what is happening at the border is nonsense. As the Associated Press notes, the previous “catch and release” policy Trump and his administration cite as the reason for increased border crossings was put into place in 2008 by then-president George W. Bush, and was primarily created to combat the influx of children fleeing to the U.S. from Central American countries due to a surge of child-trafficking. Under Trump, however, that policy has changed. In the past, the Office of Refugee Resettlement traditionally placed unaccompanied minors—that is, children who cross the border without a parent—in government-run detention centers. If a parent and a child came together, they would be processed together. In recent months, however, the Trump administration has begun forcibly taking children from their parents—some as young as one year old—and warehousing them in facilities far away from their parents, as if they had crossed the border alone. Until recently, families that illegally crossed together generally faced deportation proceedings in civil court. But as of this month, the Trump administration is following a blanket policy of referring for prosecution all people who cross illegally. The change means that authorities send parents to jails run by the U.S. Marshals Services and their children wind up in the same agency as minors who came to the U.S. without their parents ― sometimes without their parents being able to locate them. Under Obama, the Department of Homeland Security prioritized the deportation of people who had committed serious crimes, allowing most other undocumented immigrants to remain in the shadows. The DACA program allowed hundreds of thousands of undocumented immigrants who were brought to the U.S. as children to apply for temporary legal status. Last year, Trump rescinded that program. According to CNN, arrests of immigrants without criminal convictions have gone up substantially. Inside the West Wing, in fact, the demonization of undocumented migrants and people seeking asylum at the border can be a laughing matter. 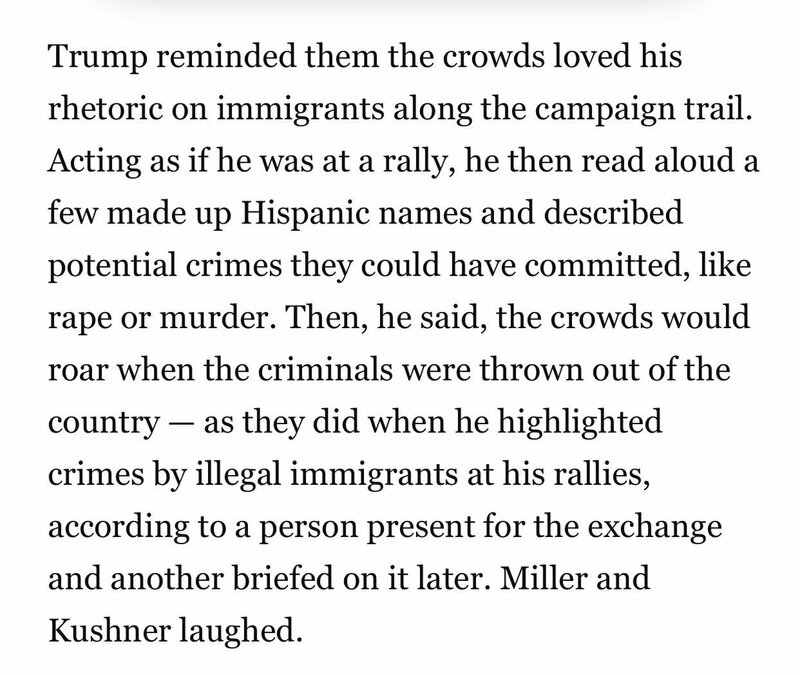 In one particularly grim anecdote highlighted by The Washington Post, Trump reportedly joked with Jared Kushner and policy advisor Stephen Miller about hypothetical criminals with Hispanic names, which he gleefully described, along with their made-up crimes. Kushner and Miller, according to the Post, laughed. In his tweet from Saturday morning, Trump appeared to be threatening to use his own cruel policy as leverage to get Democrats to side with him on a new immigration bill that would give him what he wants: tougher law enforcement on the border, a higher rate of deportation, and funding for his wall.